Avery Cardinal Dulles, S.J. wrote a very interesting article about ten years ago, published in First Things. It was essentially a review of a book written more than a decade before Vatican II by the French Dominican, Yves Congar with the title True and False Reform in the Church. 1) According to Congar, “the great law of a Catholic reformism will be to begin with a return to the principles of Catholicism.” Vatican II, echoing his words, taught that “every renewal of the Church essentially consists in an increase of fidelity to her own calling” (UR 6). Catholicism derives its principles from God by way of revelation. The most authoritative guidance comes from Holy Scripture understood in the light of apostolic tradition, inasmuch as this is the normative channel whereby revelation is transmitted. In his reform of the liturgy, Pius X issued a call to return to the sources (Revertimini ad fontes). Pius XII declared that speculation becomes sterile if it neglects to return continually to the sacred sources of Scripture and tradition, which contain inexhaustible treasures of truth. 2) Any reform conducted in the Catholic spirit will respect the Church’s styles of worship and pastoral life. It will be content to operate within the Church’s spiritual and devotional heritage, with due regard for her Marian piety, her devotion to the saints, her high regard for the monastic life and the vows of religion, her penitential practices, and her eucharistic worship. A truly Catholic reform will not fanatically insist on the sheer logic of an intellectual system but will take account of concrete possibilities of the situation, seeking to work within the framework of the given. 3) A genuinely Catholic reform will adhere to the fullness of Catholic doctrine, including not only the dogmatic definitions of popes and councils, but doctrines constantly and universally held as matters pertaining to the faith. 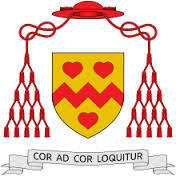 In this connection cognizance will be taken of the distinction made by Vatican II between the deposit of faith and the formulations of doctrine. Because human thought and language are inevitably affected by cultural and historical factors, it may be necessary from time to time to adjust the language in which the faith has been proclaimed. Repeated in a new situation, the old formulations can often be misleading, as instanced by the examples of Baius and Jansenius in the seventeenth century. These scholars quoted Augustine to the letter but did not take account of the changed meaning of his words. 6) Reformers will have to exercise the virtue of patience, often accepting delays. Congar finds Luther especially lacking in this virtue. But even Luther, stubborn and unyielding though he often was, cautioned his disciple Andreas Karlstadt on the importance of proceeding slowly, so as not to offend simple believers who were unprepared for changes that were objectively warranted. Prudent reformers will recognize that they themselves stand under correction, and that their proposals, even if valid, may be premature. As Newman reminded his readers, there is such a thing as a good idea whose time has not yet come. Depending on the circumstances, Church authorities may wisely delay its acceptance until people’s imaginations become accustomed to the innovation. 7) As a negative criterion, I would suggest that a valid reform must not yield to the tendencies of our fallen nature, but must rather resist them. Under color of reform, we are sometimes tempted to promote what flatters our pride and feeds our self-interest, even though the gospel counsels humility and renunciation. Persons who have prestige, influence, and power usually want to retain and increase these; those who lack them want to acquire them. Both groups must undergo conversion. 8) For similar reasons we must be on guard against purported reforms that are aligned with the prevailing tendencies in secular society. One thinks in this connection of the enormous harm done in early modern times by nationalism in religion, a major factor contributing to the divisions of the Reformation era and to the enfeeblement of the Catholic Church during the Enlightenment. The liturgical and organizational reforms of Joseph II in Austria, the Civil Constitution on the Clergy enacted in France in 1790, the extreme liberalism of Félicité de Lamennais early in the nineteenth century, and the evolutionary religion of the Modernists at the dawn of the twentieth century ” all these movements afford examples of initiatives perfectly attuned to the spirit of their times but antithetical to the true character of Catholic Christianity. In our day the prevailing climate of agnosticism, relativism, and subjectivism is frequently taken as having the kind of normative value that belongs by right to the word of God. We must energetically oppose reformers who contend that the Church must abandon her claims to absolute truth, must allow dissent from her own doctrines, and must be governed according to the principles of liberal democracy. Mary, Immaculate Conception, bright dawn of the new millennium, we consecrate our country and all its people to your heart this day. Intercede for the cause of life that is so threatened in our land. Move us to raise our voice for the voiceless and defenceless. Give us love for our enemies and soften the hearts of those who oppose life. Grant healing to all your daughters who in fear and trembling rejected the gift of life within them. May they know the peace and forgiveness of your Son, Jesus. And may all who hold political power in our land be given the grace to see with new eyes the humanity and dignity of the unborn child and to have the courage to speak boldly in the defence of life. Is the Pope devious, deluded or a dunce? We will not be silent. We are your bad conscience. "Catholicus Nua is my favourite blog"